He was amazing. “A little man with a Napoleonic penchant for the colossal and magnificent, Billy Rose is the country’s No. 1 purveyor of mass entertainment,” Life magazine announced in 1936. The Times reported that with 1,400 people on his payroll, Rose ran a larger organization than any other producer in America. “He’s clever, clever, clever,” said Rose’s first wife, the legendary Fanny Brice. “He’s a smart little goose.” Not Bad for Delancey Street: The Rise of Billy Rose is the first biography in fifty years of the producer, World’s Fair impresario, songwriter, nightclub and theater owner, syndicated columnist, art collector, tough guy, and philanthropist, and the first to tell the whole story of Rose’s life. He combined a love for his thrilling and lucrative American moment with sometimes grandiose plans to aid his fellow Jews. He was an exaggerated exemplar of the American Jewish experience that predominated after World War II: secular, intermarried, bent on financial success, in love with Israel, and wedded to America. 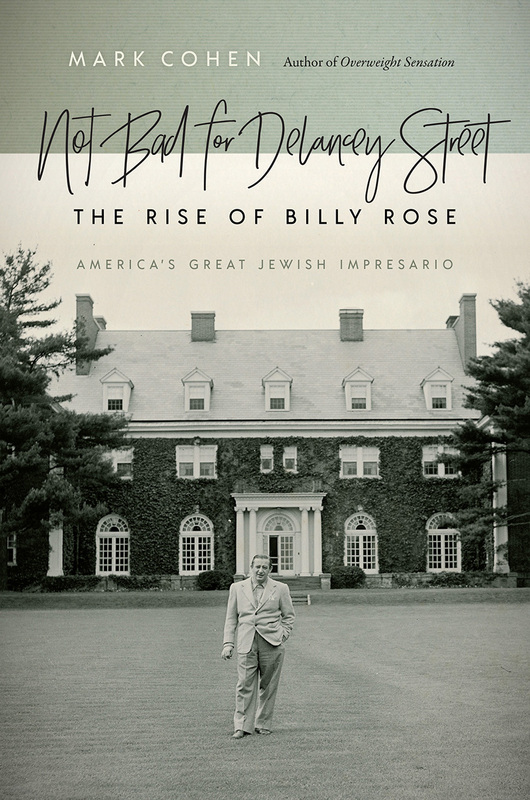 The life of Billy Rose was set against the great events of the twentieth century, including the Depression, when Rose became rich entertaining millions; the Nazi war on the Jews, which Rose combated through theatrical pageants that urged the American government to act; the postwar American boom, which Rose harnessed to attain extraordinary wealth; and the birth of Israel, where Rose staked his claim to immortality. Mark Cohen tells the unlikely but true story, based on exhaustive research, of Rose’s single-handed rescue in 1939 of an Austrian Jewish refugee stranded in Fascist Italy, an event about which Rose never spoke but which surfaced fifty years later as the nucleus of Saul Bellow’s short novel The Bellarosa Connection.